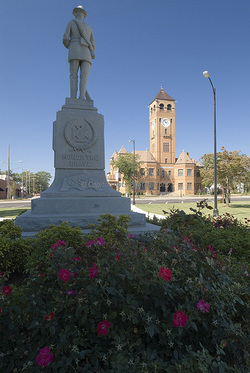 Franklin is the home of Osceola of the Florida Seminoles. 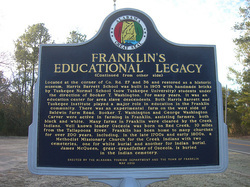 It is also the location for the Harris-Barrett School, another Rosenwald School established by Booker T. Washington and Julius Rosenwald. 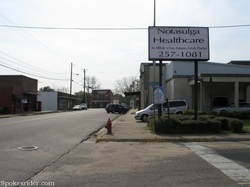 Notasulga is a railroad town joining Lee and Macon Counties. It is the home of Shiloh School, another Rosenwald school established by Booker T. Washington and Julius Rosenwald. Shorter is the home of the educator, Deborah Cannon Wolfe. It is where Prairie Farms was developed in order to create the first National Forest within one county. Now it has the HCC Halla Climate Systems plant from Korea, supporting automobile manufacturing. Tuskegee is where Lewis Adams and George Campbell saw their dream take place in establishing Tuskegee Normal and Industrial, which is now Tuskegee University. 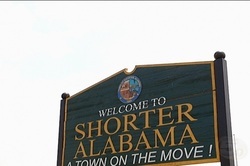 It is the home of Rosa Parks, Sammy Younge, Tom Joyner, Lionel Richie and the Commodores. It is where Dr. George Washington Carver conducted his research and where the Tuskegee Airmen (Red Tails) learned to fly.